Compare prices on car hire in Kjevik from all the major brands and find the best deals. When you book through us, unlimited mileage and insurance are always included in the price given. 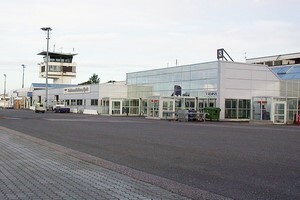 Kjevik is Kristiansand’s airport is located northeast of downtown. It takes approx. 15-20 minutes to drive from the airport to Kristiansand. Kjevik had an important significance for the Germans during the 2 World War II. The runway is 2000 times 45 meters. The airport is often closed because of fog. In 2006 the airport approx. 800 000 passengers.